By 2050, 80% of all food consumed will be within cities. How does the food system model need to evolve to meet the future food demands of cities? What challenges will this create? Vertical and indoor farming offer an opportunity to augment existing food production through decentralized systems. What mix of centralised and decentralized systems is needed to feed a city? How does a decentralized system integrate into a smarter, automated food retail model? 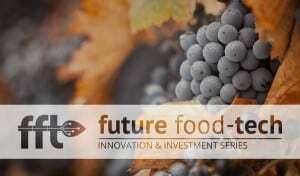 What visions are being put forward around the concept of food parks and smart clusters? How does this change the economic viability of vertical agriculture? What regulatory framework is needed to stimulate change and provide the funding and research into decentralized local food production systems? Consumers in the US now spend more on eating out and ordering in than on groceries – a trend that is being seen globally. Restaurants, chefs and menu designers for large franchise operations are therefore hugely influential in deciding the type of food that consumers eat. How is the demand for fresh and locally grown produce featuring on the chef’s menu? How important are indoor production methods in meeting demand? What crops/flavour profiles would chefs like to see in the future? The indoor farming technology market and the vertical farming industry are set on a path for rapid growth over the next five years. What progress has the industry made in a year? What have been the biggest success stories and why? What concerns do investors have in investing in the industry and how are those fears and concerns being addressed? What certainties do new investors need to see? What investment are we seeing in the enabling technologies – LEDs, robotics etc that will underpin the industry? What is the right type of finance to grow the industry? How can different categories of capital align more effectively to help take systems to scale? Spotlight on Asia: What Success is Asia Having in Taking Indoor Farming to an Industrial Scale? 35% of fruits and vegetables eaten in the US today are imported. How are greenhouse cultivators and indoor operators looking to ramp up production to meet future demand? What pain points are they looking to solve? How is the relationship between indoor cultivation and food retail evolving? What would food retail like to see in the partnership from a quality, convenience, flavour and year-round security of supply? What does it take to get offtake agreements in place? How can operators better align product categories with the product strategies? Rethinking Retail: How is the Produce Section Set to Evolve over the Next 5-10 Years? How important are long term partnerships between retailers and growers in establishing and maintaining consumer loyalty? Will brands become king as consumers look for new and innovative food experiences? How can retailers and growers capture shared value from the relationship and the shopper experience? The indoor and vertical farming industry has the opportunity to position itself as a safer alternative to open field agriculture. How should growers be designing and engineering their operations to get the right precautions in place and ensure they set off on the right foot? Beyond food safety where else can the industry agree on standards for the sector? How would a move to greater standardization and a collective dialogue to consumers and retailers help further establish and elevate the industry? A.I. and Machine Learning: Can Artificial Intelligence Prove Its Value in Horticulture and Indoor Production? How can the industry collaborate to move towards greater integration and complete systems design? What role should different providers and suppliers play in building out capabilities? Why are operators still designing their own systems? Labour shortage is causing billions of dollars in lost productivity and sales across all food production systems. What automation options exist today? 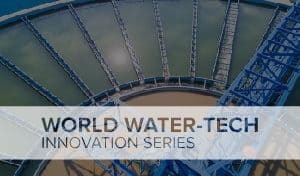 What breakthroughs are coming and what collaborations are needed to accelerate future developments? Is full automation attainable, and for what size of operation? How can we ensure that, as technologies evolve over time, new technologies remain accessible and viable to operators? What new business models are needed? The Future Outlook for Energy Use and Management: Can Vertical Farming Ever Become Price Competitive? The popular, interactive roundtables are your opportunity to join one of 10 roundtable debates to learn and share fresh thinking. Moderated by industry leaders, this is a great way to connect with others who share your focus. 3. Finance: What is the right type of investor to grow your company? 4. 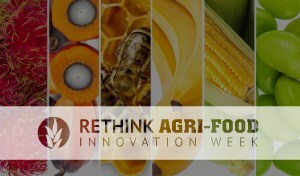 Consumers: How are shifting consumer preferences and sustainability goes reshaping agriculture? 6. 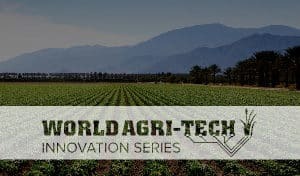 Food Safety & Traceability: Will blockchain fix the agri-food industry’s trust problem? 7. Industrial Partners: What industrial partnerships are needed to help scale the indoor sector? 10. Cannabis: What lessons can the cannabis market and Indoor produce sector teach each other? Discover new and disruptive technology solutions and meet tomorrow’s business leaders. 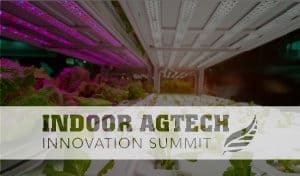 Six selected early-to-mid stage indoor agtech companies will each be given seven minutes to pitch their solution to a panel of shark investors and the summit audience. Presentation: What will it take for Strawberries to be the Next Big Crop? Strawberries are the next big produce category for hydroponic systems. What are the challenges in producing high quality berries? Do the economics, taste and product look ripe for mass retail? What crops and varieties are going indoors? What research is being carried out in universities, seed companies and inhouse to match genetics with indoor production environments? When will we see tailored indoor varieties that target consumer traits like texture, taste and flavour? To what extent can we manipulate the environmental variables of the lighting spectrum, nutrition and CO2 to drive specific production outcomes of biomass, flavour and quality? Gene editing could play a central role in the economic viability of indoor crops, but will consumers accept it? How can the industry balance the risk and the rewards being offered? What are the future market opportunities for nutraceuticals and pharmaceuticals for indoor growing operations? Where are the large-scale opportunities and how is the cannabis sector driving innovation and unlocking new insights? What’s It Like to Grow Crops on Mars? As hydroponics goes to scale, what supporting industries/companies have a role in the future success of the sector? How do we marry up these opportunities? 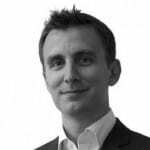 How are energy companies looking at the opportunities in the sector? How can a grower work with a utility to match their load and operation profile to the grid? How do partnerships with energy facilities drive the economic feasibility for vertical farming and augmented greenhouse operations? What are the engineering challenges that need to be solved? 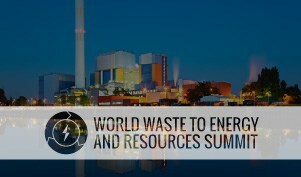 What are the opportunities to utilise renewable energy? What other technologies could create more carbon neutral and sustainable systems in the future?